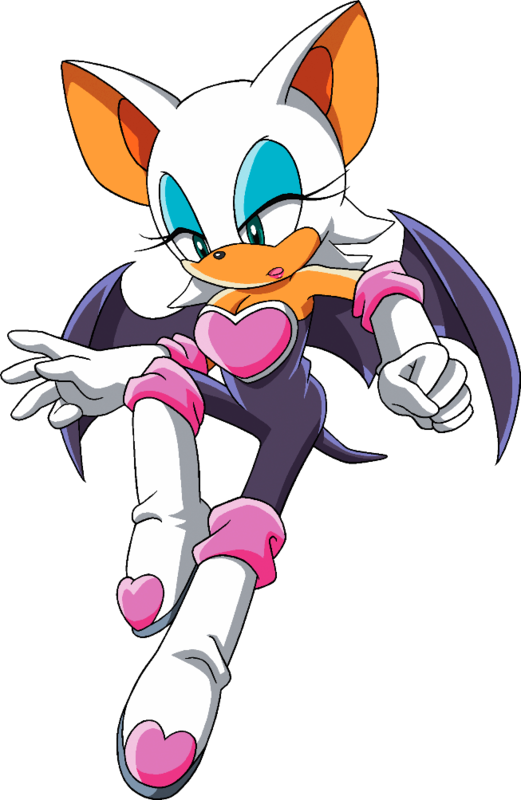 She's Fantastic: Sonic the Hedgehog's ROUGE THE BAT! 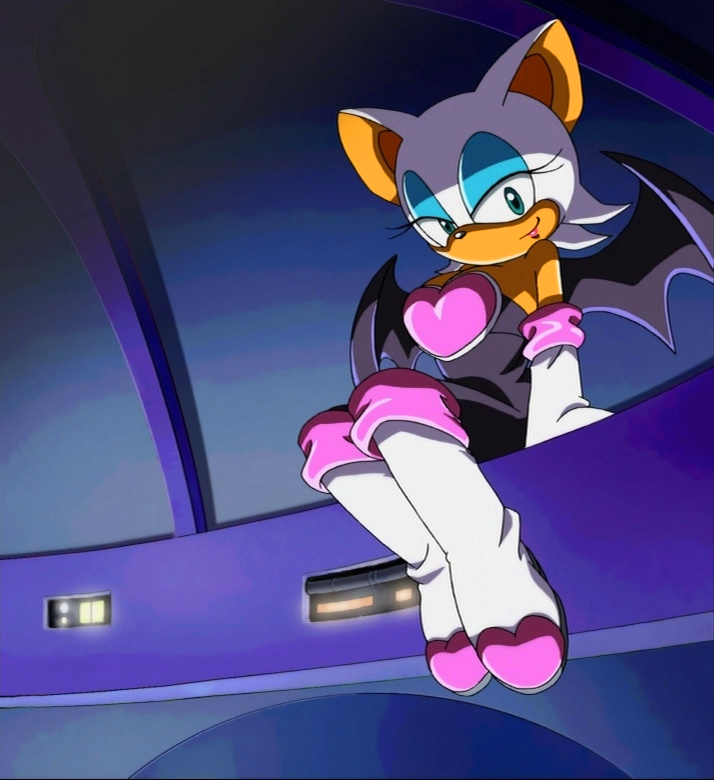 Sonic the Hedgehog's ROUGE THE BAT! Sonic the Hedgehog was a major obsession for me as a teenager. I only had the game on a Sega Game Gear but it still made a lasting impression. When Jazwares got the toy licence several years ago, my interest was renewed and I started buying all the highly-articulated tiny figures without hesitation. In the process of collecting these new figures, I discovered a previous line produced by Toy Island. 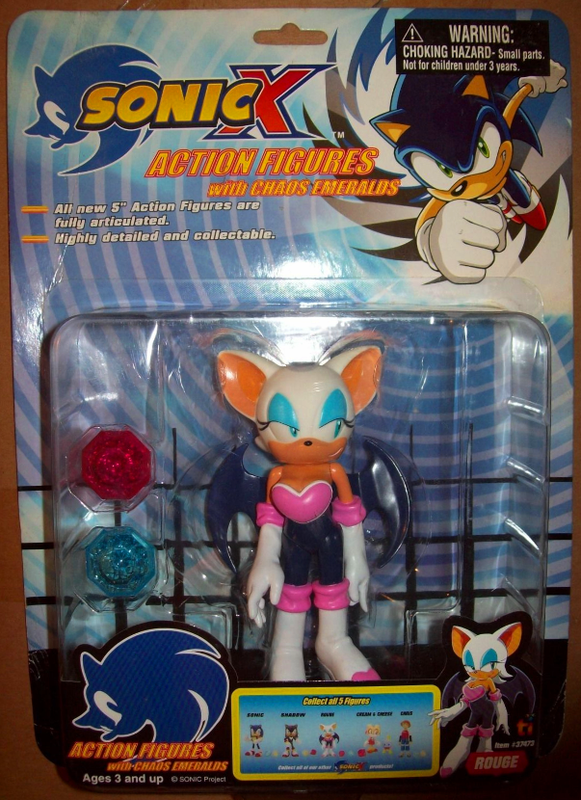 This earlier line is especially notable to me because they produced two females which Jazwares never got around to: Cream the Rabbit and Rouge the Bat. These figures are super hard to come by so hopefully Tomy (who now has the license) will get to them eventually. Their rarity on the secondary market makes direct comparison with the more modern versions hard to come by. I was personally shocked at the large size of Rouge when I finally got her. She towers over the Jakks figures, but she's still an awesome addition to my tiny Sonic collection. Let's check out Rouge below! The only disappointing thing about this figure is her inability to stand on her own. Her posture with her extreme cocked hips makes her want to topple over. Rouge has five simple points of articulation: Neck, Shoulders, and Legs - all swivel joints. Here she is alongside a similarly-scaled Toadette from Banpresto. You have just about every figure I have ever wanted and gave up on! This Rouge is nearly impossible to find and pretty much always has been. I figure seeing the quality and vastness of your collection you probably have Kimiko from Xiaolin Showdown but I posted some pictures of her the other day if your interested. Haha! I'm glad you appreciate my treasures! I still need to get Cream someday so she doesn't look like sucha behemoth next to my other Sonic figures. I actually don't own Kimiko (nor have I heard of her honestly). She looks like a very cool figure though. Plus she sells for a fortune! I was lucky to get her cheap, but she can go for well over 100$... not sure why she is so rare.